15 Acres with Pool Home! Like a spacious Texas ranch nestled on approximately 15 acres, this one bedroom/1 bath home is truly unique. With sprawling grounds that are picture perfect, you’ll find a rural estate boasting 554’ of road frontage. A dense ring of trees insulates from local noise while providing a beautiful natural barrier and scenic views from every window. Both fenced and cross fenced, the property includes a well that provides water for pasture. A spectacular indoor pool is not only solar heated and 11’ deep. It also features a vaulted ceiling, a diving board, a lounge area with paddle fan, as well as a double door entrance from the outside and one from the living room. Natural light shines from windows that grace every wall of this entertainment center, revealing the lush natural beauty of the land. The ideal year-round amenity, you’ll enjoy four seasons of relaxation and the fitness benefits of a private pool in a climate-controlled setting. As expansive as the outdoors, the interior’s uncluttered floorplan affords endless furniture configurations. With the contemporary feel of a Great Room layout, the kitchen is wide open yet integrated into the living space. White cabinetry and appliances lend to the modern touch that feels homey thanks to the scenic vistas. 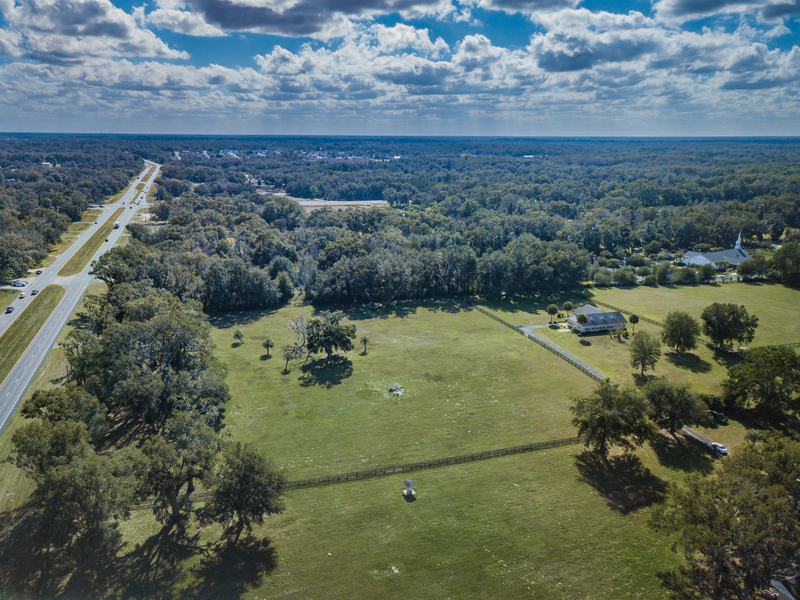 Located near The Villages, amazing area shopping and dining, and 30 minutes from the remarkable Ocala National Forest– whether you are looking for a place to live full-time or a weekend getaway, this Belleview Florida home is your escape from the everyday. https://trinityeastlakerealestate.com/wp-content/uploads/2018/03/LC-WebLogo-340x156-300x138.png 0 0 loricrawford https://trinityeastlakerealestate.com/wp-content/uploads/2018/03/LC-WebLogo-340x156-300x138.png loricrawford2019-01-25 20:12:152019-01-25 20:12:1515 Acres with Pool Home!